Though his recorded output doesn’t rival his contemporaries from The Crescent City, Joe August – better known as Mr. Google Eyes – was one of the leading proponents of New Orleans rock ‘n’ roll in the early days. Born in September 1931, Joe was raised by his mother and grandmother in a strict religious household which put him at odds with the two of them when he wanted to sing The Devil’s Music. With his family unwilling to pay for instruments because of his choice of material August focused on his singing instead, but with so many young vocalists vying for jobs the teenager found a way to ensure that he was hired by saving his money to purchase a PA system. Since most local bands in New Orleans who were struggling to get gigs had need of one he would rent it to them for $3 a night under the condition that he also be allowed to sing. When rock ‘n’ roll emerged with Roy Brown in late summer 1947 DeLuxe Records from New Jersey scooped up much of the talent in the region – Brown, Paul Gayten, Annie Laurie, Dave Bartholomew and Smiley Lewis, showing how fertile the area was for this type of music. Two years later another New Jersey based company, Coleman Records, came along and signed August to his first recording contract in mid-1949. Now known professionally as Mr. Google Eyes (a nickname derived from him being caught staring google-eyed at pretty girls in the restaurant he’d worked at when he was younger) and backed initially on record by Gayten’s band his debut sold well and put him in great demand as a live act but also for other record labels seeking to break into rock ‘n’ roll. 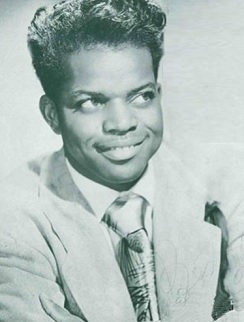 Because of this Columbia, the oldest and most prestigious of the major record companies, quickly bought his contract from Coleman in late 1949, an impressive feat for a teenage rock act as he was one of the few black artists in ANY style on the company’s roster at the time. These became the records that August was known for, tough jumping cuts that competed with the first sides from the latest crop of New Orleans rock stars Fats Domino, Jewel King, Tommy Ridgely and Larry Darnell. It was Darnell ironically who had been passed over by Coleman Records in favor of Mr. Google Eyes before briefly becoming the biggest vocal star in rock just a few months later on Regal Records who were much more suited to promoting this style of music. That type of strong commercial push sadly wouldn’t be the case for August at Columbia, as for all of their prowess with pop music they proved ill-equipped to handle rock ‘n’ roll. The pop outlets their distributors dealt with weren’t going to be selling this music while the smaller black stores which sold rock records in great quantities weren’t used to dealing with the otherwise all-white Columbia label and so many passed it up. 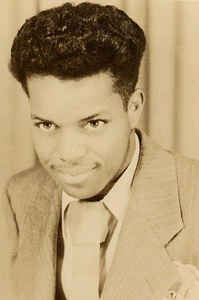 Despite a lack of national hits Mr. G (as he was also known, a takeoff on Billy Eckstine’s Mr. B) had considerable impact on a generation of New Orleans artists who perhaps saw him as more approachable than the bigger names from the city, even though most of his time was now spent in Newark, New Jersey where he’d relocated after first signing with Coleman Records. The early to mid-1950’s were August’s heyday as he cut records for another major label in RCA, as well as for big-time independents Savoy and Duke/Peacock, for whom he wrote the Top Ten hit “Please Forgive Me” for their big star, Johnny Ace, but no hits of his own were forthcoming. As the rock market exploded by mid-decade in what should’ve been August’s prime he was no longer drawing the interest of record labels and instead was reduced to doing live shows on the West Coast to earn a living. Eventually he made his way back to New Orleans in 1960 hoping for a revival in his fortunes. However he was nearly killed thanks to the strict segregation and anti-miscegenation laws of the South during that time. He’d begun seeing a local blonde dancer who worked at one of the clubs and naturally their relationship had to be kept quiet. She dyed her hair and tinted her skin with a bronzer in an attempt to pass for Creole but when she called for a cab company used by whites to take them to a club one night the driver radioed police to tip them off about the pair and they found themselves arrested on false charges of loitering. After she became enraged at the cops for their bigotry, screaming that she should be able to be with whomever she chose, August felt the best thing for his own safety was to disavow her in their presence rather than have the police take out their anger at her on the black man who had the nerve to date a white woman. The police set her free and then made it clear in no uncertain terms what August would meet with should he be caught with a white woman again. He was released and headed to the apartment they shared where – angry at his perceived betrayal and determined that no other woman but she could have him – she shot him in the abdomen. Soon after police entered with guns drawn assuming he was a burglar, forcing him to prove his residency (which he did by virtue of his wardrobe which was hanging in the closet) as he lay bleeding on the floor. Then the ambulance taking him to the hospital taunted him by stopping for drinks on the way, prodding his open wound and telling him he was going to die and that he deserved it for his so-called “crime” for being with a white woman. Though he survived this ordeal after finally making it to the hospital and undergoing an operation he awoke to find that he’d been charged with miscegenation on top of it all. As a result he virtually retired from performing after that even though he was still just shy of thirty years old, choosing instead to quietly run a club in the Ninth Ward. He made a few more scattered records in the next few years but nothing came of it and he drifted into radio as a disc jockey and an emcee at the fabled Dew Drop Inn that had launched so many of New Orleans biggest stars. By the 1980’s he had turned his attention to local politics heading up the organization Blacks That Give A Damn which aided troubled youth. Of all of the rock stars to emerge from New Orleans from the late 1940’s through the late 1960’s Joseph August’s recorded legacy is rather skimpy by comparison when it comes to hits, musical influence and even sheer numbers when adding up his total recorded output, but within the city’s musical community Mr. Google Eyes loomed as large as virtually any of the bigger stars who’d made their name there. When August died in 1992 at the age of sixty he was among the last of those who’d been there from the start, when rock ‘n’ roll was born in the city he called home.